Several different sources would tell you that the concept of the cloud and cloud computing started in the 1950s or the 1960s through the concept of “virtualization.” An elaborate article by IBM (read HERE) says the whole idea of cloud computing started through mainframe computing which, as a result, paved the way to a broader and more cohesive concept of cloud computing. However, it wasn’t only until the late 1990s when companies gained a better understanding of the cloud and its potential benefits. 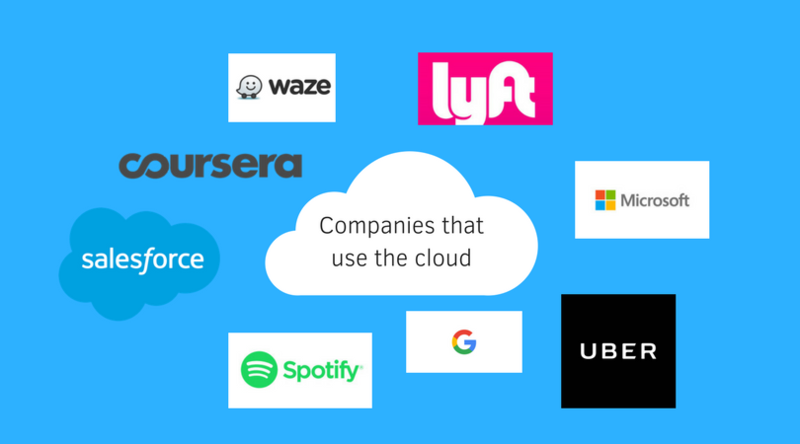 Tech giants like Salesforce, Amazon, IBM, Google, and Microsoft have all seen its potential and subsequently put out different types of offers which use cloud-based services – but what does it actually do??? Microsoft puts it perfectly as it describes cloud computing as the delivery of computing services – servers, storages, databases, networking, software, analytics, and more – over the internet. 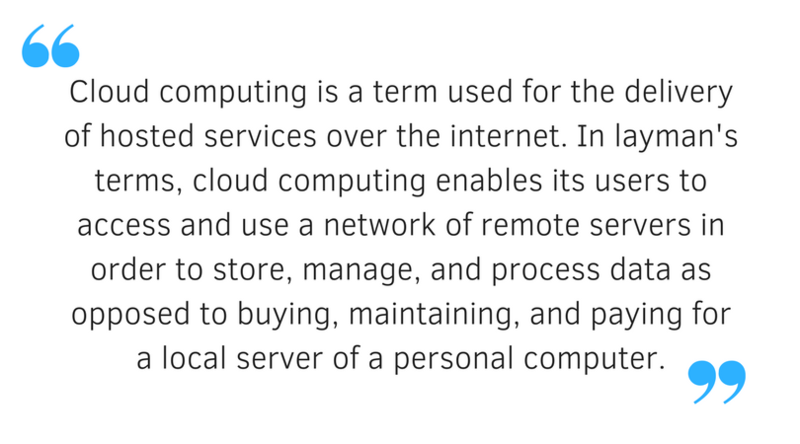 However, there’s so much more to cloud computing than just having your own safe corner to store all your Hawaii selfies and *cringe* groupfies. Now that we basically have a degree of familiarity about what the cloud really is – let’s understand how it has so much to offer than just storage space. Infrastructure-as-a-Service, as a cloud computing service, basically involves servers, storage, network, operating systems, and virtual machines on a pay-as-you-use basis. Essentially, the goal of IaaS is to have access to computing power without installation and or maintenance responsibilities as everything is done in the cloud. 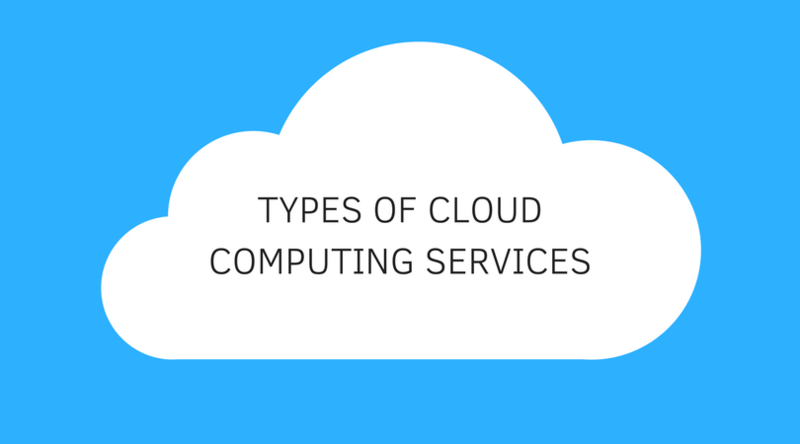 This type of cloud computing service is attractive to companies that may want to build applications from scratch and the pay-as-you-use basis generally provides a more predictable fee structure. However, IaaS may generally require firms to have some sort of technical know-how to be able to use it to its full extent. Platform-as-a-Service allows businesses to write software for the integration of existing applications as well as develop new applications that are essential to their respective business. PaaS, according to Microsoft, is a complete development and deployment service in the cloud, with resources that enable companies to deliver everything from simple cloud-based apps to sophisticated, cloud-enabled enterprise applications. 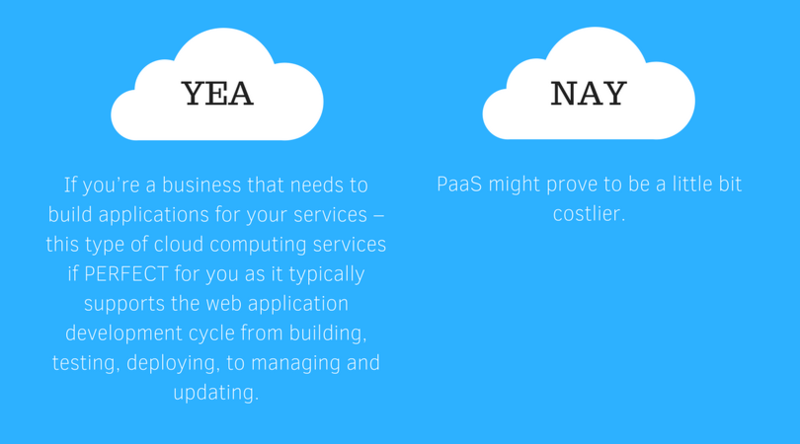 In comparison, IaaS and PaaS both include infrastructure services (such as storages and servers) but PaaS edges IaaS out in terms of the inclusion of development tools designed to assist a typical web application cycle. Simply put, Software-as-a-Service provides software. SaaS, as a cloud computing service, is the largest, most developed, and most used cloud deployment model since it’s described as a web-based delivery model that eliminates the need to install and run applications on your personal computer. The service providers (the ones that provide SaaS) manage the whole thing which makes it easier for businesses to receive maintenance and support services. If these are all done via the internet… how sure are we that rival companies and or hackers wouldn’t barge their way in and get all of our confidential data? Great question, simple answer. Cloud deployment models. It IS pretty simple, really. Cloud deployments deal with the channels where you want your cloud computing services to be, well… deployed securely. Cloud deployment models also represent a specific type of cloud environment primarily distinguished by size, ownership, and type of access. A public cloud means that the service provider opens the cloud infrastructure for open use. The infrastructure will be present in the premises of the service provider but will still be operated by the client or whoever is making use of it. A private cloud means that it is solely owned by a company or organization. A private cloud may be hosted internally or externally and offer better data security. Reliable and scalable, control over cloud infrastructure, can be used by organization to manage their own applications as well as other applications used by their own company or their clients. 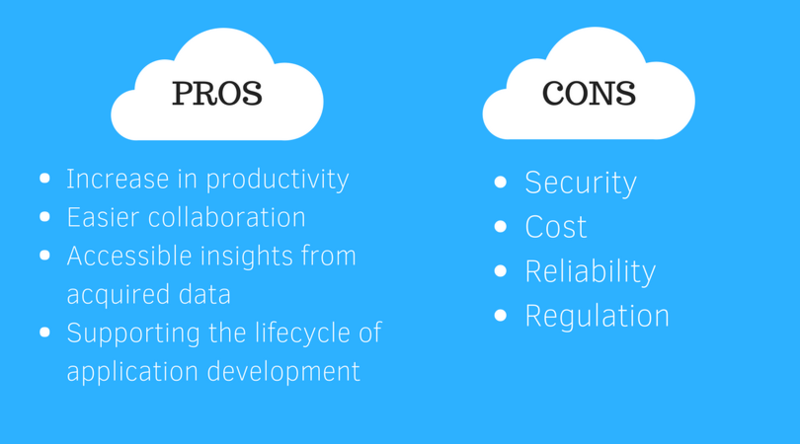 A hybrid cloud offers the best of public and private – combined. This type of cloud deployment model ensures safety, scalability, and high performance. However, run-off-the-mill hybrid cloud service providers may not offer the best type of service so interested clients should really consider their options in order to maximize what they can get out of a hybrid cloud service as well as ensure cost-effective measures. As the cloud’s popularity increases, companies are using the cloud to achieve greater scalability, reliable performance, and higher productivity. One can consider that the rise of cloud computing as a sharp 180 from the norm of having your own stuff in your own premises since companies may now lease their digital assets to other companies that need off-premise services. While one can argue that there’s not much that sets the cloud apart from traditional on-premise ways – it’s simply not here to compete. Companies always have the option to opt for on-premise approaches regardless of product or service offered. Understandably, many companies may still have reservations about the security of cloud services following cloud breaches in the past. Generally speaking, data stored in cloud computing services are safe – however, it is still not fully invulnerable from attacks. Think of it this way, the security of your cloud will largely depend on how secure your systems are. 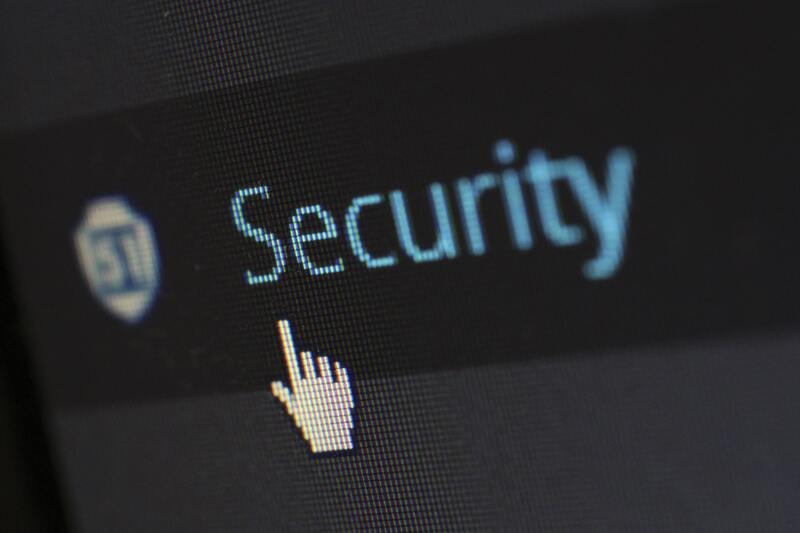 In-house systems managed by in-house teams with many other responsibilities are likely to be more unsecure than systems monitored by a dedicated team of cloud engineers. Familiarize your team with the cloud – It is absolutely essential that you don’t rely 100% on your cloud service provider. Having at least working knowledge on how the cloud works and how to troubleshoot simple problems would save your team time going back and forth in communicating with your service provider. Develop a cloud strategy with your team – Different cloud models mean varying degrees of control. Familiarizing yourself as much as you can about the cloud model that you are interested in would not only benefit your organization but would also allow you to make the most of what you are paying for. 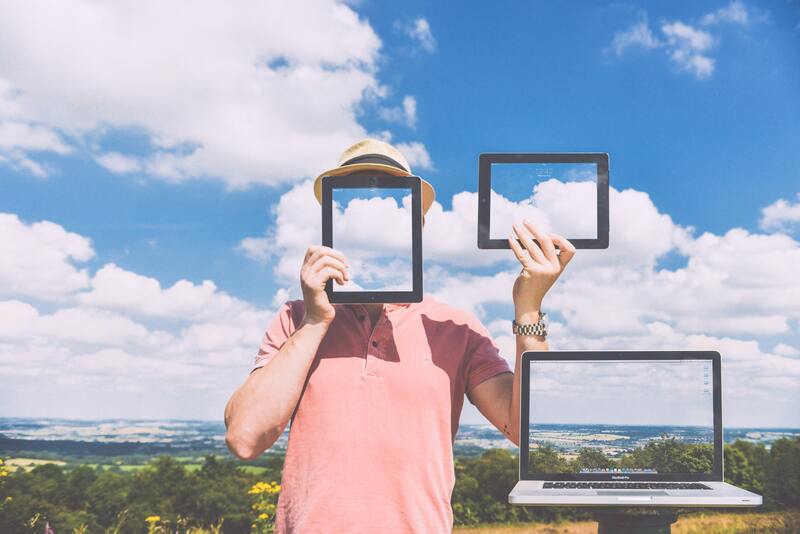 Choose the right cloud deployment model and the right type of cloud service for your company – Familiarizing yourself with IaaS, SaaS, and PaaS as well as public, private, and hybrid clouds are absolutely essential. Understanding the risks that come with the different cloud services and different cloud deployment models would allow you to choose the right type of service for your business. Coordinate with cloud service provider in a timely manner – Communication and coordination are always important when it comes to managing a third-party service. Developing a good relationship with your cloud service provider would help you understand what they are requiring from you and vice versa. Backup data regularly – It is important to always backup your data and other important information to be ready for human error, computer crashes, data breaches, and disasters. If you want to fully outsource your cloud operations, it would be worth looking into managed cloud services. 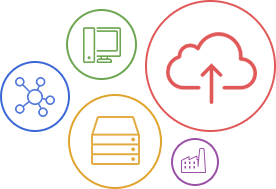 With managed cloud, you have access to an unparalleled range of enterprise-class productivity solutions, the best security, and file storage capacity that can be orders of magnitude more than what would be possible otherwise. For more information, click HERE. Stronger passwords = Stronger security – Having strong passwords for your cloud service should be a no-brainer. Remember, the stronger your password is the harder it would be to snoop in on your confidential information. Today, businesses have to be flexible with their decisions within a snap of a finger. Opportunities and challenges arise in various shapes and forms and businesses should be well-equipped to pursue or resolve them. Having a great cloud management strategy would not only give you and your business peace of mind but also increase workforce mobility since every single file, program may be accessed from the cloud anywhere, anytime.